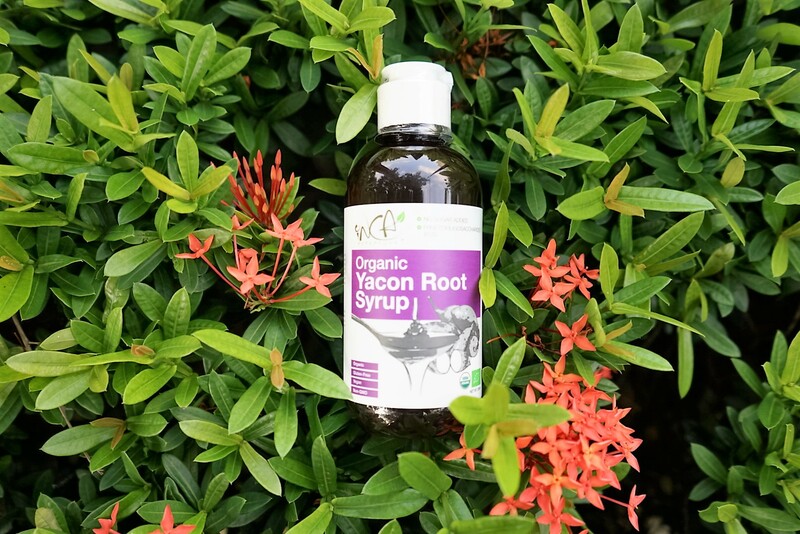 Yacon root syrup is a sweetening agent extracted from the tuberous roots of the yacon plant indigenous to the Andes mountains. In Peru, people eat yacon because of its nutritional properties—few calories and low sugar levels. The syrup contains up to 50% of fructooligosaccharides (FOS). FOS has been a popular sweetener in Japan for many years, even before 1990, when the Japanese government installed a "Functionalized Food Study Committee" of 22 experts to start to regulate "special nutrition foods or functional foods" that contain the categories of fortified foods (e.g., vitamin-fortified wheat flour), and is now becoming increasingly popular in Western cultures for its prebioticeffects. FOS serves as a substrate for microflora in the large intestine, increasing the overall gastrointestinal tract (GI Tract) health. It has also been proposed as a supplement for treating yeast infections. 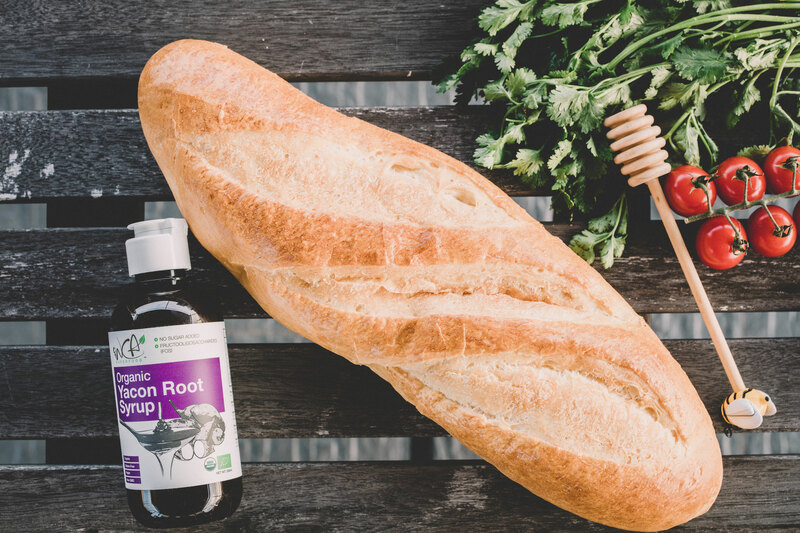 FOS exhibits sweetness levels between 30 and 50 percent of sugar in commercially prepared syrups so it is a perfect natural alternative sweetner. No extra sugar has been added to this premium plant based syrup.